- You have just met with President Putin. What did you talk about? Well, this is an investment event. So the focus of President Putin with the leaders from the investment world was about creating opportunities for joint investments not only in Russia but around the world. He talked about infrastructure, investments in China. Not just we with but fifty people from around the world. I personally spoke to him about the energy sector here, in Russia. The fact is that Russia has tremendous resources - oil and gas. But also, what I am finding out from my visit here, is that it has tremendous capabilities in terms of people, technologies, companies, that are able to execute large projects from big Yamal LNG project to Sakhalin projects, as well as pipelines, LNG shipping. We also talked about capabilities of the service sector in Russia. We feel that Russia has great potential for investors to invest here but also Russian companies are able to invest abroad, including Saudi Arabia. We are interested in attracting Russian companies to come invest in the Kingdom, especially in the services sector. Chemical sector is a great opportunity for investment because Russia has a lot of feedstock. - Can Saudi Arabia consider investments in Russia’s Eurasia Drilling? - You met with Mr Sechin (Rosneft CEO). Did you discuss particular projects? 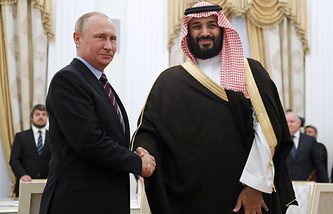 We discussed concepts, we discussed trading, potential joint investment in Russia and the projects that could use Saudi technologies (chemicals, for example, downstream). We discussed potential investments in markets that are of interest to both Rosneft and Saudi Aramco. We could create synergies between the two companies. So, the concepts were discussed, not specific projects at this stage. But that will follow. - You traveled to Russia’s Arctic region. Have you been impressed by the Arctic projects? When you come and see the Arctic when even in summer the temperature is freezing - minus ten this week. You need nuclear powered icebreakers to bring materials and people. I am impressed by Russians’ ingenuity - they are able to find innovative ways to build these great projects, to make them possible. That increases our confidence in working with our Russians counterparts. They have the vision, the strategy, ability to implement these major projects against all odds. So I think it lays a foundation for exploring future opportunities. 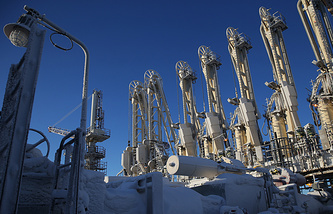 - Can Saudi Arabia consider investments in Arctic LNG projects? Everything is possible. At this stage, of course, it is too early to talk about specific projects. However, we don’t think in terms of years we think in terms of decades. I think we have to look at projections for the long term. And if it is economically justified, we will consider investing in them, especially if they can be used to supply LNG to Saudi Arabia. Saudi Arabia has a huge market for gas, we have shortage of gas in the Western region. We are looking at existing projects but also at future projects with Russian companies we can do elsewhere – in Africa, in the Mediterranean region etc. 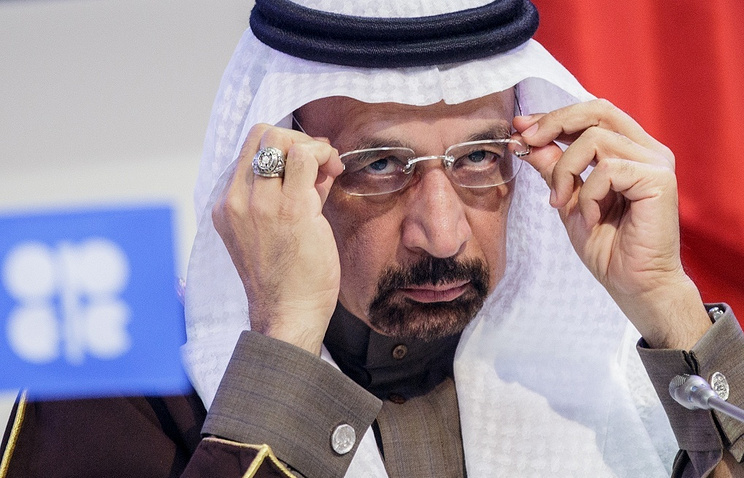 - Do you think OPEC and non-OPEC countries will have to discuss larges cuts in November? I think we have to wait. We have to see the market and I think by the end of June, in July we will see that the action we have taken has a big impact. If for some reason we need to do more, we will consider to do more including extension (of the oil output cut deal – TASS) bigger cuts. So let’s just wait and monitor how close we are to the goal and what the trajectory is and on this basis we will decide. Nothing is off the table but today nothing is on the table either. We made a deal. All countries hopefully will meet their commitment and if they do that and the macro economy of the world continues to improve, (we see improvements on a daily basis, China has just reported very good growth rates), so I am confident that we will see a quick recovery of the oil markets. - Kazakh energy minister said that you had agreed to discuss Kazakhstan’s quota in the agreement. Is it true? Kazakhstan is a special concern because of the Kashagan field. We have told him (the minister) that as long as he agrees to cut - we will always be supporting Kazakhstan. I think, we did not agree on anything specific. There is no agreement on any special deal with anybody. But there is sympathy and he has committed that he is going to do his best to compensate for the growth of Kashagan. - Which compliance rate of OPEC and non-OPEC do you expect in May? In April, we got 102%. Hopefully, in May it will be even better. I know that Russia achieved more than 100% (by reducing) 305,000 barrels. We (Saudi Arabia) are more than 100%. I think that all other countries are looking at Russia and Saudi Arabia as the biggest producers. We are taking the lead and we expect other countries to do the same.